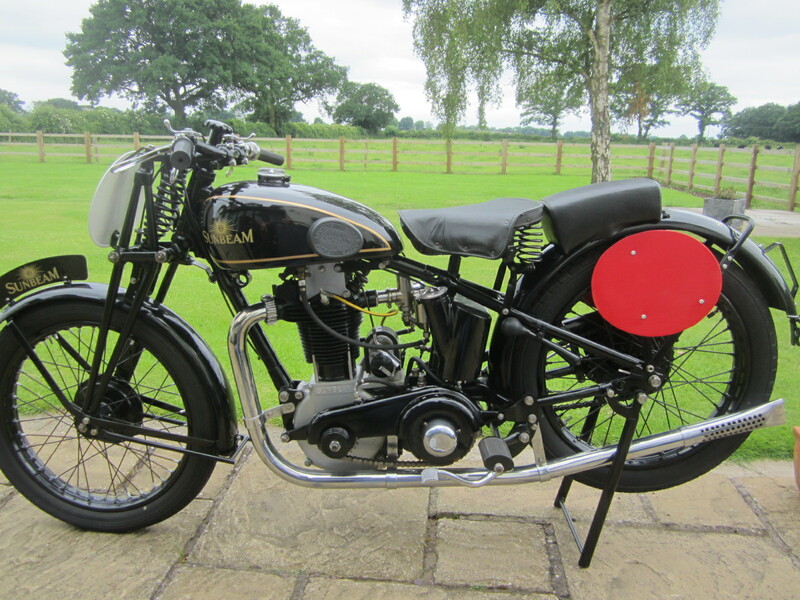 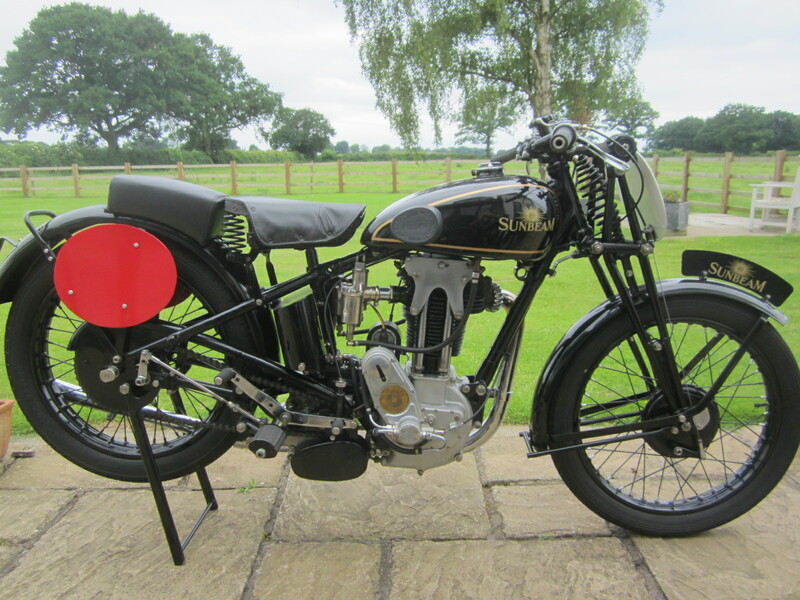 Steve Griffith over at Racing & Investment Motorcycles has turned up yet another interesting Sunbeam Model 90. 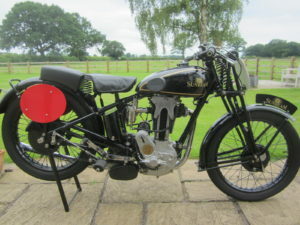 This time it is a later saddle tank that he has for sale that reportedly has come from the Joe Potts collection. 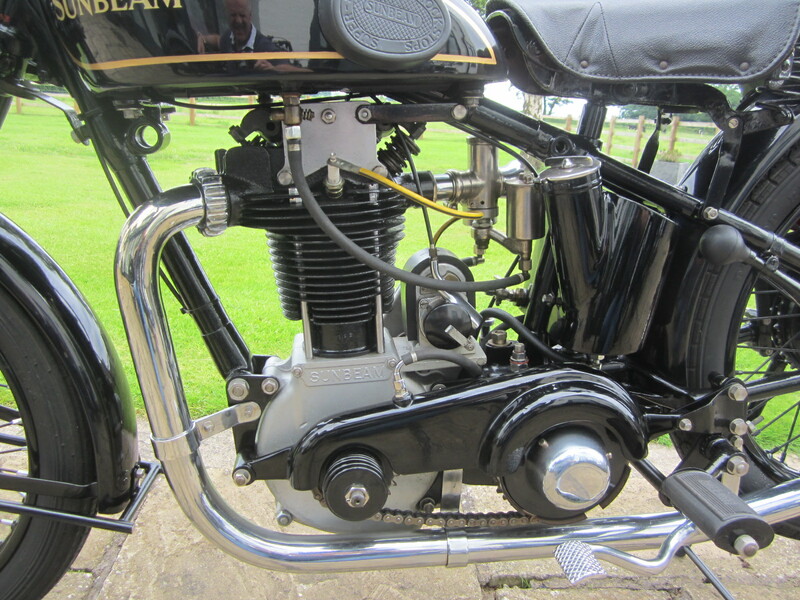 Some interesting features on the bike include the very nice twin-float Amal 29/001 carburettor that also looks to be stamped M90. 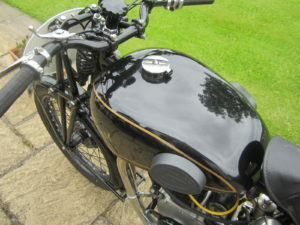 I would love one of those for my own ’30 saddle tank if any one has one? 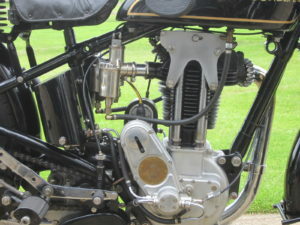 The single port head is fitted with coil valve springs and appears to be of an earlier vintage due to the design of the rocker box side plates. 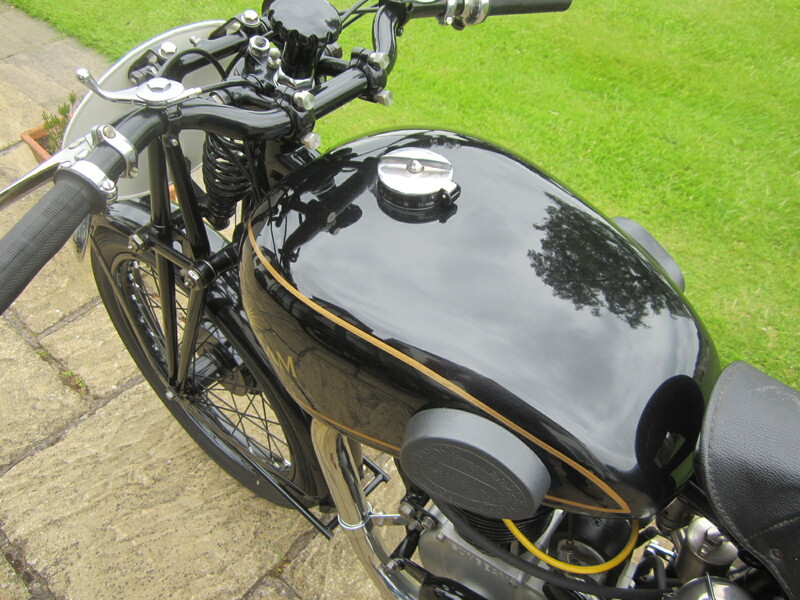 Open primary drive, rear set-foot rests and the rare left hand filler oil tank complete the sporting look perfectly. This entry was posted in Bikes and tagged for sale, Model 90, Sunbeam by Dodson. Bookmark the permalink.